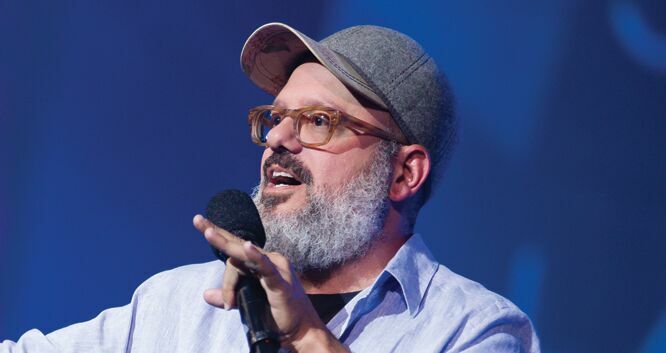 Emmy Award winner and two-time Grammy Award nominee David Cross is an inventive performer, writer, and producer on stage and screen. This summer, Cross’Oh Come On tour will visit theatres across North America and international dates are being planned. Named one of the Top 100 Stand-Up Comedians of All Time by Comedy Central, Cross’2016 Making America Great Again! tour included Cross’ first European dates and produced the Netflix special of the same name and the Grammy nominated CD, …America…Great. Cross will be seen in the 5th season of Arrested Development premiering on Netflix on May 29, reprising his beloved role as Dr. Tobias Fünke. During its original critically acclaimed, Emmy Award-winning run on FOX, Cross was twice-nominated as part of the ensemble cast for a Screen Actors Guild Award.Cross will also be seen in a recurring role in the second season of the Amazon series, Goliath, starring Billy Bob Thornton. In January 2018, Cross was part of the ensemble cast with Tom Hanks and Meryl Streep in Steven Spielberg’s The Post. His new series, Bliss, premiered on Sky TV in the UK in February 2018. The inventive series is about a travel writer who has two families, and neither knows of the others existence. On the big screen, Cross appeared in the independent features, Kill Your Darlings alongside Daniel Radcliffe and Michael C. Hall, and the dramedy It’s a Disaster, opposite Julia Stiles and America Ferrera. Other film credits include Abel, Year One, Christopher Guest’s Waiting for Guffman, Men in Blackand Men in Black II, Ghost World, Michel Gondry’s Eternal Sunshine of the Spotless Mind, Pitch Perfect 2, I’m Not There, and provided his vocal talents for several animated films, including Megamind, the Kung Fu Panda franchise and Curious George.